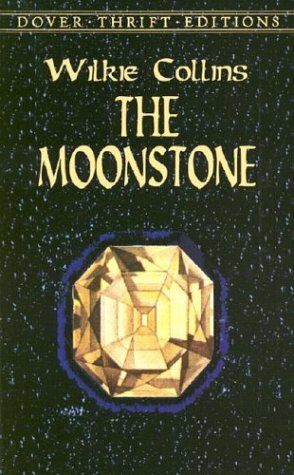 Called "the first and greatest of English detective novels" by T.S.Eliot, The Moonstone is a masterpiece of suspense. A fabulous yellow diamond becomes the dangerous inheritance of Rachel Verinder. Outside her Yorkshire country house watch the Hindu priests who have waited for many years to reclaim their ancient talisman, looted from the holy city of Somnauth. When the Moonstone disappears the case looks simple, but in mid-Victorian England no one is what they seem, and nothing can be taken for granted. Witnesses, suspects, and detectives each narrate the story in turn. The bemused butler, the love-stricken housemaid, the enigmatic detective Sergeant Cuff, the drug-addicted scientist--each speculate on the mystery as Collins weaves their narratives together. The Moonstone transcends the genre of detective novel or murder mystery, though, and this new edition features a fascinating introduction by John Sutherland which discusses the themes of imperialism, sensationalism and mesmerism.